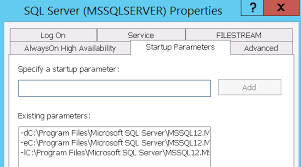 Startup options designate certain file locations needed during startup, and specify some server wide conditions. Most users do not need to specify startup options unless you are troubleshooting the Database Engine. It might also be useful to add trace flags to a startup options. Trace flags are used to temporarily set specific server characteristics or to switch off a particular behavior. For example, if trace flag 3205 is set when an instance of SQL Server starts, hardware compression for tape drivers is disabled. Trace flags are frequently used to diagnose performance issues or to debug stored procedures or complex computer systems. You can also have Automated Stored Procedures fire at startup if you want to customize options just a little bit more. 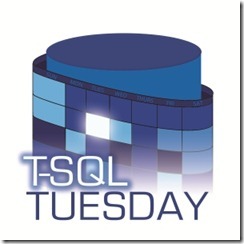 Be the first to comment on "SQL Server Startup Options"